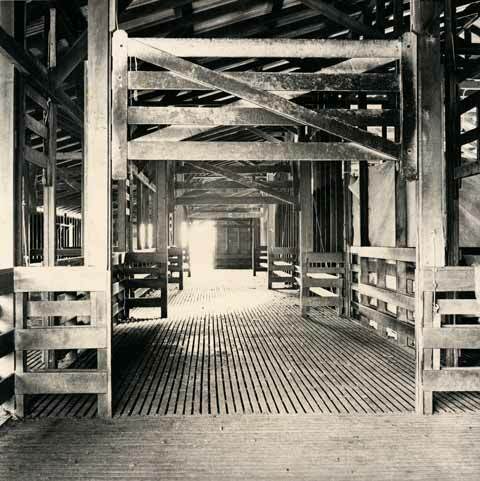 With all the gates at this slatted area lifted, sheep can be easily herded into the woolshed. Once they are packed in, the gates are lowered to confine them. Loading sheep can be quite straightforward in well-designed sheds, but poor shed design can make it a difficult and tiring job.